The Annex I Grassland Monitoring Survey (GMS) built on the research undertaken by BEC Consultants during the baseline Irish Semi-natural Grasslands Survey (ISGS) of O’Neill et al. (2013). During the GMS a review was carried out of the methodology used during the baseline survey and all amendments are outlined in the report (Martin et al. 2018). One hundred and ten sites were monitored during the GMS. For the 6210/*6210 habitat 237.83 ha were surveyed, representing 17% of the 1,416 ha of 6210/*6210 habitat that is currently mapped within the State. For the 6410 habitat 167.87 ha were surveyed, representing 29% of the 586 ha of 6410 habitat that is currently mapped within the State. For the 6510 habitat 60.64 ha were surveyed, representing 39% of the 157 ha of 6510 habitat that is currently mapped within the State. 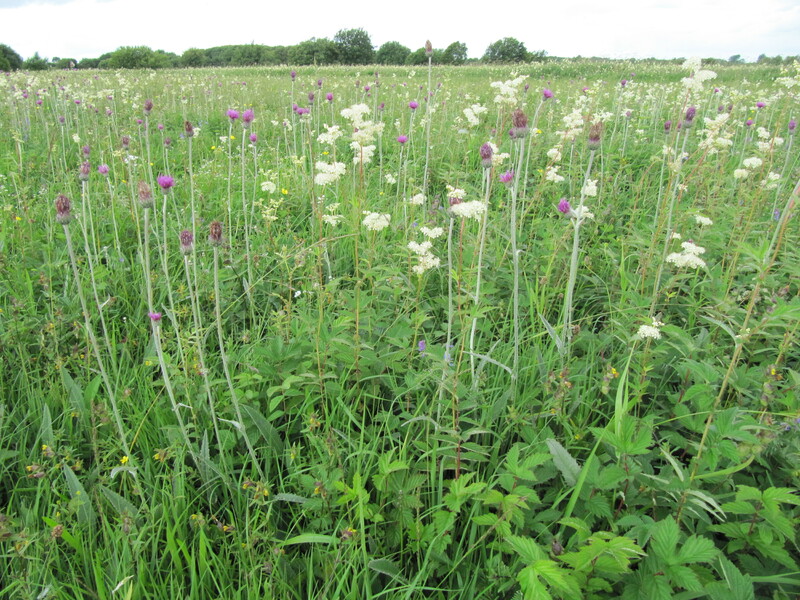 The data collected during the GMS formed the basis for a national conservation assessment for all three Annex I grassland habitats. For the 6210/*6210 habitat the overall conservation assessment was Unfavourable-Bad, with habitat loss the largest threat to the habitat with 31% of the surveyed area of 6210/*6210 reported lost due to pressures such as agricultural intensification. For the 6410 habitat the overall conservation assessment was Unfavourable-Bad, with habitat degradation, through pressures such as abandonment, agricultural intensification, and forestry, the biggest threat to the conservation of the habitat. For the 6510 habitat the overall conservation assessment was also Unfavourable-Bad. The data collected during the GMS indicated that the 6510 habitat is the most threatened of the three Annex I grassland habitats studied, with 28% of the surveyed area of 6510 reported lost and a significant decline in the number of sites with Favourable Structure and functions: only three sites were reported to have Favourable Structure and functions during the GMS, whereas eight of the same 18 sites were reported to have Favourable Structure and functions during the baseline ISGS. Pressures such as agricultural intensification and the application of natural fertilisers, such as slurry, are the biggest threats to the conservation of the 6510 habitat. 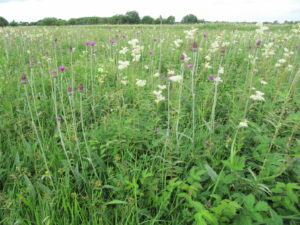 Within the report’s discussion recommendations have been made to help address the declining conservation status of all three Annex I grassland habitats. Martin, J.R., O’Neill, F.H. and Daly, O.H. (2018) The monitoring and assessment of three EU Habitats Directive Annex I grassland habitats. Irish Wildlife Manuals, No. 102. National Parks and Wildlife Service, Department of the Culture, Heritage and the Gaeltacht, Ireland.